Update: Reports in the Japanese press claim Hitachi is set to suspend all work on Wylfa, its nuclear power project in Wales. 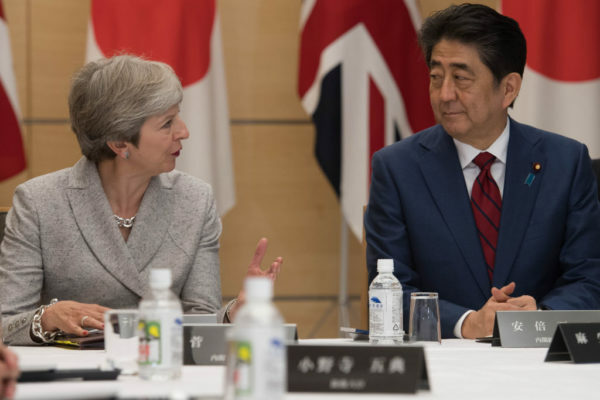 Japan’s prime minister Shinzo Abe is in London this week, and it seems likely in his meeting with Theresa May that the Japanese-backed nuclear power plant in Wales will come up. 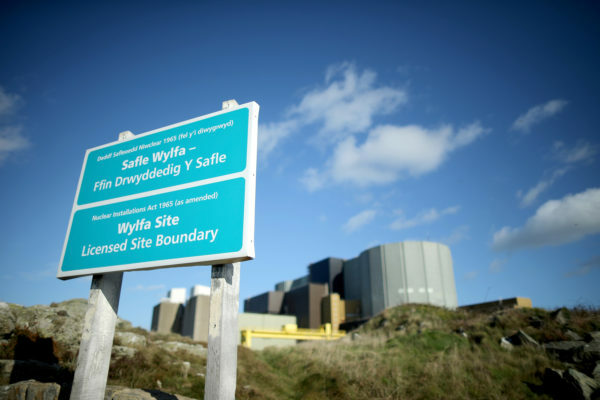 The Wylfa project, to be built by Hitachi and its subsidiary Horizon, is one of a clutch of planned nuclear power stations which the UK government has heavily prioritised for security of power supply, and meeting the country’s climate obligations. Late last year another of the 6 major projects, the proposed Moorside plant in Cumbria, was effectively abandoned after Toshiba pulled out. And another has come under fire as questions are raised about security issues flowing from the Chinese builders. These developments effectively illustrate that UK nuclear power policy is heavily dependent on overseas developers. What is less understood is that there are significant shifts underway in Japan which strongly suggest Hitachi’s projects may too be at risk. The most advanced of Horizon’s nuclear plans is a large power station to be built at Wylfa on Anglesey, North Wales. In fact, with the collapse of Moorside, the Wylfa plant is the only nuclear project that could realistically be built before 2030, in addition to the plant already under construction at Hinkley Point in Somerset. Japan, however, is reconsidering its nuclear export strategy. Because it keeps going wrong. Until recently it had 3 companies interested in building nuclear power stations abroad: Toshiba, Mitsubishi and Hitachi. These companies have experience building nuclear stations at home but since the Fukushima disaster in 2011, they have had to look elsewhere. Seeking to help these giants of Japanese industry to maintain their businesses, Prime Minister Abe reportedly wanted to turn Japan into a “nuclear export superpower”. Toshiba pulled out of Moorside last year because it had run up huge losses in building 2 nuclear plants in USA. One, the Summer project in South Carolina, was abandoned altogether despite it being nearly half-built. Toshiba has pulled out not just of Moorside, but of building new nuclear power stations altogether. Meanwhile, another of Japan’s nuclear groups, Mitsubishi Heavy Industries (MHI), has also been struggling to get its international project off-the-ground. It had one nuclear power station in the offing, at Sinop in Turkey, following an agreement years ago between the two countries’ prime ministers. However it seems clear that MHI is preparing to leave the project amid its “ballooning costs”. This is the only nuclear power station project MHI had an interest in. The last of the companies involved in Japan’s nuclear export push is Hitachi. It has one active overseas nuclear project in UK at Wylfa, North Wales, and one more speculatively planned at Oldbury in Gloucestershire. Hitachi, however, are reportedly be thinking of scrapping the project as its costs and risks become unmanageable. Hitachi could be looking at Toshiba’s near-bankruptcy and thinking ‘let’s not go there’. According to their chairman the project was in “an extremely severe situation” as it struggled to attract investors, even though UK government may have promised as much as two thirds of the build cost. Despite this already generous largesse (on behalf of UK taxpayers, not offered to any other energy projects) Hitachi are intending to come back to UK government and ask for more. It looks like no assessment of the risks by a private funder come back looking good, and the only way nuclear plants can be built is with government stepping into very risky projects that require taxpayers to shoulder the risk. The aversion from private investors may not only be because of the rising costs, but also that the operating performance of the proposed reactor is pretty poor (albeit partly due to earthquakes). Notably Hitachi continues to be happy to spend many billions of pounds on power grid investments, but not its own nuclear reactor, which it wants UK taxpayers to fund. Unsurprisingly this tale is making many in Japan have second thoughts. Major Japanese newspapers have opposed their own taxpayers lending support to the Wylfa project, even though a home-grown company would be getting the benefits. And during the Xmas break, Japan’s third largest newspaper called for the nuclear export strategy to be abandoned. Another paper attacks the ‘bottomless swamp’ of nuclear funding in UK and remarks upon how few countries seem to be following the UK-style nuclear-focused policy. Reportedly Japanese government has asked its development banks to fund the ‘nuclear export strategy’, and Wylfa in particular, but they don’t want to. It is quite difficult to see how Hitachi can manage the risks of this project without some home support, and support in Japan is ebbing away. Few other countries will be stepping into the UK’s nuclear hole. The South Korean company KEPCO – that once might have taken over the Moorside project – is also finding exporting nuclear power tough to export, as ‘shoddy’ construction in a nuclear plant in United Arab Emirates, with attendant delays and extra costs, is showing. For the UK, which has made a heavy bet on new nuclear to cover for retiring plants and make up a significant share of its decarbonisation targets, news from the other side of the world makes that bet look a dodgy one.